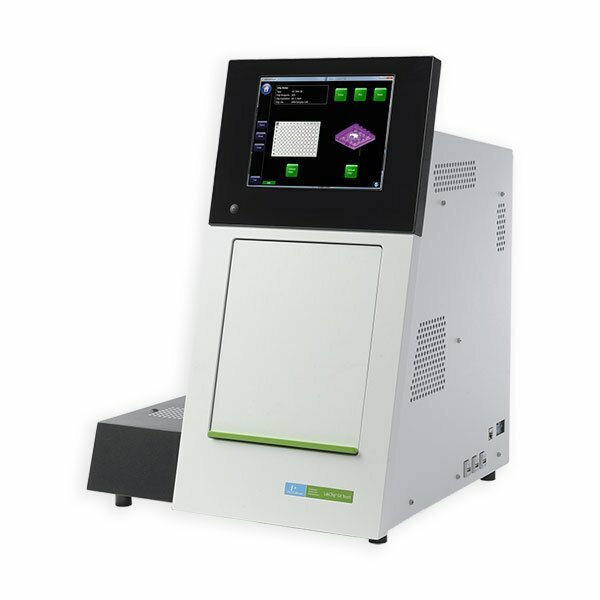 With complete analysis of genomic material in about 30 seconds, the LabChip GX Touch nucleic acid analyzer eliminates the nucleic acid quantitation workflow bottleneck. High-resolution analysis provides exact sizing and quantitation of DNA fragments and smears down to 5 bp from samples as small as 2 pg/µL. Bagheri, H., Friedman, H., Shao, H., Chong, Y., Lo, C., Emran, F., . . . Peterson, A. (2018). TIE: A Method to Electroporate Long DNA Templates into Preimplantation Embryos for CRISPR-Cas9 Gene Editing. The CRISPR Journal,1(3), 223-229. doi:10.1089/crispr.2017.0020. Chesnais, V., Ott, A., Chaplais, E., Gabillard, S., Pallares, D., Vauloup-Fellous, C., . . . Ginoux, E. (2018). Using massively parallel shotgun sequencing of maternal plasmatic cell-free DNA for cytomegalovirus DNA detection during pregnancy: A proof of concept study. Scientific Reports, 8(1). doi:10.1038/s41598-018-22414-6. Costa, J-M., et al. (2018). Cell-free fetal DNA versus maternal serum screening for trisomy 21 in pregnant women with and without assisted reproduction technology: a prospective interventional study. Genetics in Medicine. doi:10.1038/gim.2018.4. Faiz, A., Heijink, I. H., Vermeulen, C. J., Guryev, V., Berge, M. V., Nawijn, M. C., & Pouwels, S. D. (2018). Cigarette smoke exposure decreases CFLAR expression in the bronchial epithelium, augmenting susceptibility for lung epithelial cell death and DAMP release. Scientific Reports,8(1). doi:10.1038/s41598-018-30602-7. Ford, L., Carter, G. P., Wang, Q., Seemann, T., Sintchenko, V., Glass, K., . . . Kirk, M. D. (2018). Incorporating Whole-Genome Sequencing into Public Health Surveillance: Lessons from Prospective Sequencing of Salmonella Typhimurium in Australia. Foodborne Pathogens and Disease, 15(3), 161-167. doi:10.1089/fpd.2017.2352. Gergen, J., Coulon, F., Creneguy, A., Elain-Duret, N., Gutierrez, A., Pinkenburg, O., . . . Haspot, F. (2018). Multiplex CRISPR/Cas9 system impairs HCMV replication by excising an essential viral gene. Plos One, 13(2). doi:10.1371/journal.pone.0192602. Mogilevsky, M., Shimshon, O., Kumar, S., Mogilevsky, A., Keshet, E., Yavin, E., Heyd, F., and Karni, R. (2018) Modulation of MKNK2 alternative splicing by splice-switching oligonucleotides as a novel approach for glioblastoma treatment. Nucleic Acids Res. doi: 10.1093/nar/gky921. Ong, J., Woldhuis, R. R., Boudewijn, I. M., Berg, A. V., Kluiver, J., Kok, K., . . . Brandsma, C. A. (2019). Age-related gene and miRNA expression changes in airways of healthy individuals. Scientific Reports,9(1). doi:10.1038/s41598-019-39873-0. Trolle, C., et al. (2016) Widespread DNA hypomethylation and differential gene expression in Turner syndrome. Scientific Reports (6). doi:10.1038/srep34220.